There’s no arguing that the video game industry is a solid form of media entertainment. So it’s little wonder that companies, charities, and associations are looking to them as possible sources of revenue. (We here about non-dues revenue all the time at conferences!) We’re not talking gamification here – but actual games. According to the Entertainment Software Association, 72% of American households played computer and video games in 2011, spending nearly $25 billion on hardware, content, and accessories. It’s easy to see why organizations are taking note. There are many ways in which associations can tap into gaming as a source of revenue. To begin, you could take a page from Extra-Life.org. Extra Life organizes a 24-hour gaming marathon every year (in which I have participated twice). Gamers are encouraged to play games for 24 hours straight, and get sponsors to pay them to do so. Each participant chooses a hospital to play for (Miami Children’s Hospital for the win!) and all the pledges that the gamer collects are donated to that institution. Then, on the day of the marathon, gamers do what they do best: sit around in their pajamas playing the crap out of some games. As Extra Life has been doing this for a while now, there are many game companies that have jumped on board, hosting events across their game servers during the marathon. 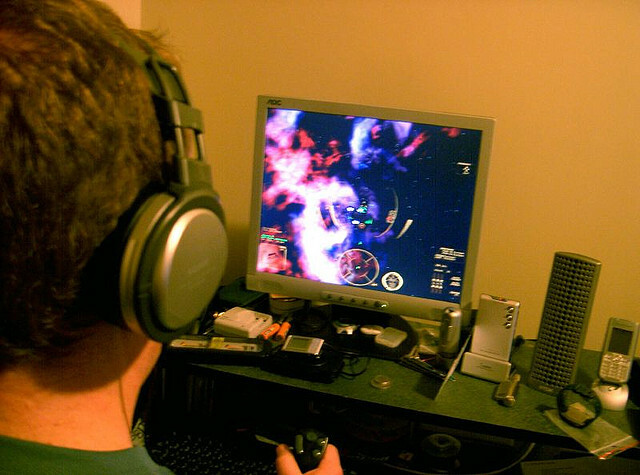 Game journalism has taken to streaming live broadcasts of these sessions, and countless gamers post picture updates to Facebook and gaming blog sites as they progress through the marathon. Obviously, were any association to go this route, it would be on a smaller scale (at first), but the premise would be the same. With some solid web support, a dedicated online venue for gamers to follow and post updates, and support from some partners, this could be a relatively easy way to get some fundraising going. It’s like organizing a 5k run for charity, except you don’t need to book a venue or deal with all those pesky physical logistics. You can embrace the beauty of us gamers: we don’t want to go anywhere, or interact with anyone, unless it’s from behind a keyboard. If an organization wanted to get in on the game, so to speak, I recommend contacting the company behind the game to set up the creation of a vanity item for charity. There are a number of very popular MMORPG’s on the market, and if you could get into just one of them, I know it would be a very lucrative source of fundraising. Below is a list of the top online games at the moment, and the companies that run them. And that is just the tip of the iceberg. I believe we will see more companies, charities, and associations look toward gaming as a way to expand their markets. We basement-dwelling recluses are out there, hunkering down over our keyboards, just waiting to be a part of something bigger that betters the outside world.